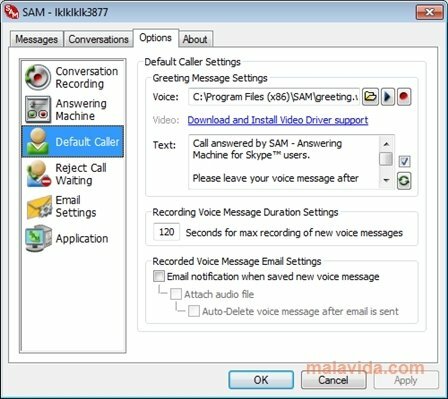 KishKish SAM is an answering machine to be able to deal with the incoming calls to your Skype account when you aren't in front of your computer. 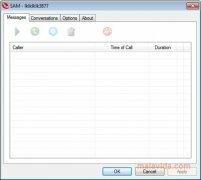 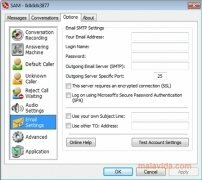 This application, that used to be known as SAM (Skype Answering Machine), will take care of answering the calls when you aren't available, with the possibility to record your own message so that you friends can hear it when they call. 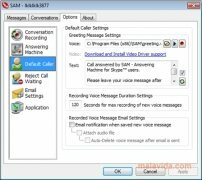 This answering machine will allow you to record messages in WAV format so that they are played when someone calls you on the Skype VoIP application, and you aren't available. 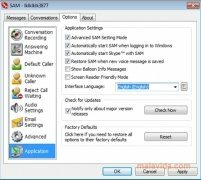 KishKish SAM allows whoever that calls you to listen to our recording and to leave their own message. 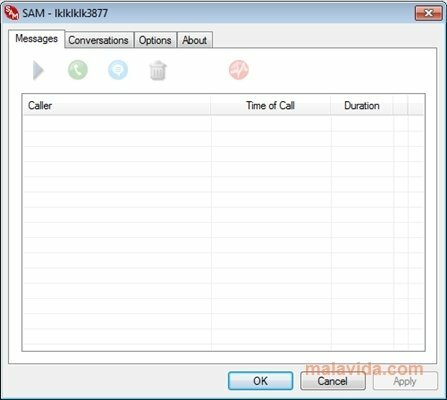 When you launch the program, these messages will appear on a list and you will be able to listen to them. 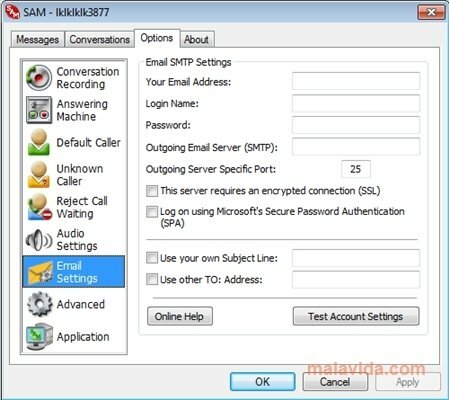 Make sure you don't miss any calls on Skype. 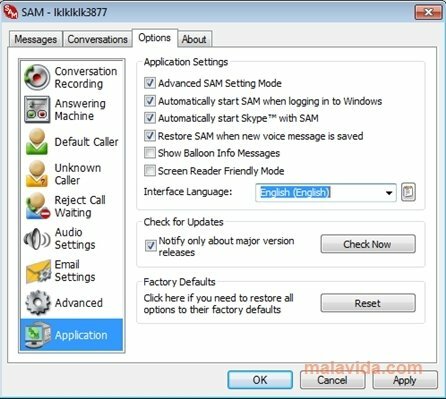 This application requires that you have Skype.